J.J. Kukura poured in a game-high 31 points to lead the Aviators past the Leopards 57-45. Blake Hoover led Louisville with 19 points & 13 rebounds, Joe Crank had 9, and Jake Pukys dished out 7 assists. Drew Noble scored 24 points & grabbed 14 rebounds but the Leopards fell to the Aviators 62-59. Blake Hoover also scored 11 and both Bryce Mathie & Jake Pukys added 9. 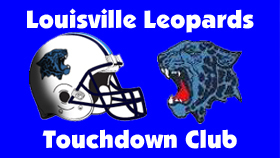 An In-Depth Preview of Friday’s Louisville Leopards at Alliance Aviators Week 9 Football Matchup to go along with a breakdown of the all-time series and past highlights.